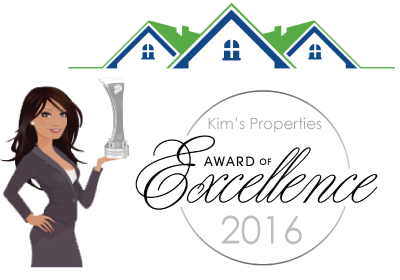 Kim's Properties has been serving Phoenix, Arizona for over a decade as the #1 house buying company. If you want to sell you house fast, you have come to the right place. We have helped hundreds of Phoenix area homeowners sell their home fast. Whether you need to sell your house because of foreclosure, divorce, inherited property, relocating, upside down in your mortgage, behind on payments, owe liens or any other reason, we buy houses Phoenix! Get a Great Offer Now! And close when you want! Give Me A Great Offer! Learn what we know when it comes to selling your house fast in Phoenix. The right kind of marketing, which niche, selling independently or with a real estate investor and much more! Would you like a FREE copy of this house selling report? Below are smart upgrades and fixes to quickly increase the sales price of your house immediately without spending a lot of money. Window Shutters and Blinds are an extremely cost effective way to increase the value of your house. Two very affordable shutters are Poly Shutters & Wood Shutters with Cellular Shades a great alternative. Visit Direct Buy Blinds for more info on blinds and shutters. It's amazing what a litte house painting can do for the value of your home. A little goes a long way when it comes to house painting. Contact Premier House Painters for affordable house painters in your area. Your home's roof could have minor problems that look a lot worse than they actually are. Simple repairs make a huge difference. Visit Premier Roof Repair for inexpensive roof repair fixes. Maybe a bit more pricey, but nothing increases more value as much as kitchen remodeling. Contact Premier Kitchen Remodeling for kitchen remodeling in Phoenix, Arizona. Let Arizona's top home buying company give you a fair & fast offer today!